Looking for a way to shorten your wait time at the airport? 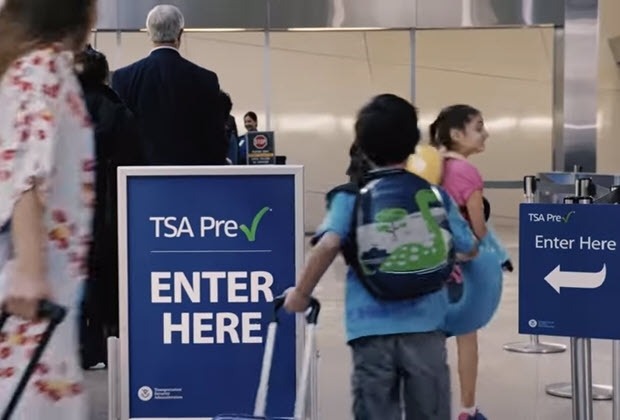 Enrolling in TSA Pre✓® can help expedite the security screening process, which means less wait time in airport security lines. In November 2018, 93% of the passengers that participated in the program saw less than 5 minutes of wait time. Travelers that chose TSA Pre✓® did not need to remove shoes, laptops, 3-1-1 liquids, belts or light jackets. The Automobile Club of Southern California is offering five TSA Pre-Enrollment events in April that are open to the public. All will be held at the Auto Club’s Anaheim Hills branch, 5500 E. Santa Ana Canyon Road. The events will be Tuesday, April 9 through Friday, April 12 from 9 a.m. to noon and 1 p.m. to 5 p.m., and also Saturday, April 13 from 8 a.m. to 12 p.m. and 1 p.m. to 4 p.m. The cost to obtain TSA Pre✓® is $85 and the credential is good for five years. Make an appointment for one of the events and learn which document(s) you will need to bring with you to verify your identity by visiting universalenroll.dhs.gov and clicking on the green “New Enrollment” button on the right side of the screen. Fill in the required information, then select Anaheim, CA when prompted to select an appointment location. Lastly, move to the bottom of the page and click ‘next’ to create an appointment. “Travelers have been busy booking their spring and summer trips, and getting TSA PreCheck at one of these events will help them to get into ‘vacation mode’ even earlier with reduced wait times at the airport,” said Hend Hasrouni, the Auto Club’s Anaheim Hills branch manager. The Auto Club recommends using the TSA travel checklist in addition to TSA Pre✓® to help keep your traveling experience as smooth as possible.